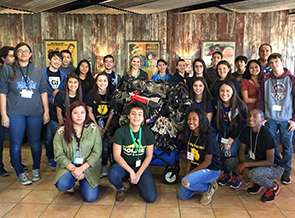 Students from San Antonio's Northside Independent School District chose Soldiers' Angels for their "The Big Event" service project. The students came together at the Soldiers' Angels headquarters and made 22 no-sew blankets that will be dispersed to veteran patients at the VA Hospital. Big thanks to these students for giving back to our veterans!